Yay!!!!!!!!! 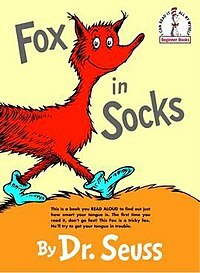 I am tied with him I think my next book will be the Ducks Dont Wear Socks Book!!! I think it will be hilarious! Yay!!!!! I am tied with him. I think my next book will be Ducks Dont Wear Socks book. Its going to be hilarious. Keep going Hannah. I haven’t updated Andy for a few days. He read three more books since then. See if you can beat him.